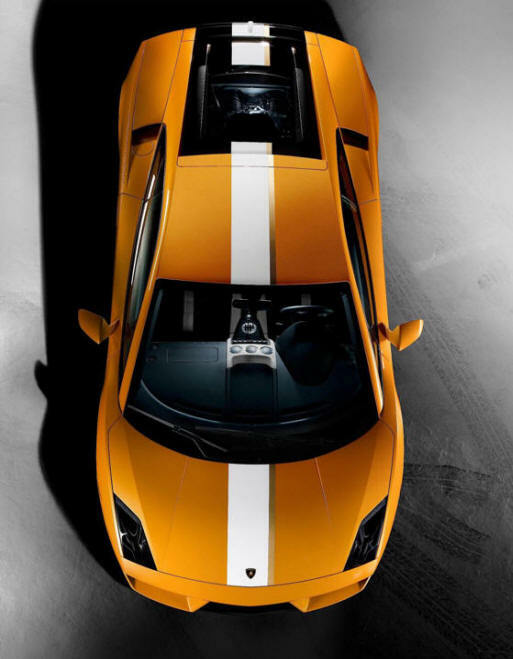 Part way through its model life, Lamborghini has taken an unusual turn with its popular Gallardo model. Normally improved high performance models added to a range get more and more high tech equipment added or become stripped out noisy faux competition cars. Well, Lamborghini has taken a different path. Along with the updates that the other Gallardos have gained (predominantly bigger, more powerful engines), a limited edition version called the Valentino Balboni is the new star model. 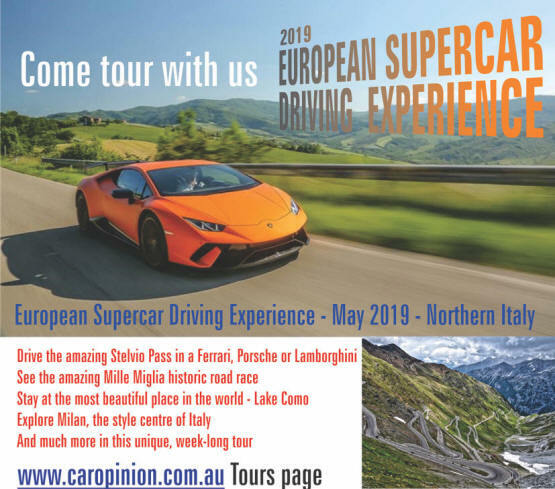 The biggest difference is that the Balboni is rear wheel drive only - while all Lamborghinis since the Diablo gained another diff, have been all-wheel-drive. 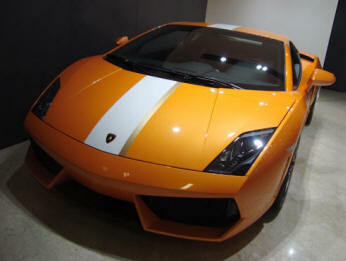 It's been a major point of differentiation with the Murcielago and Gallardo, helping make them sales successes. So it's an interesting and important change of direction to see a lighter, simpler 2-wheel drive car released. It features a 5.2-litre version of the V10 engine and a 6-speed manual or optional E-gear transmission. My test car had E-gear, though I think I would have preferred to shift gears myself - there's something about clacking the gears through an aluminium gate... 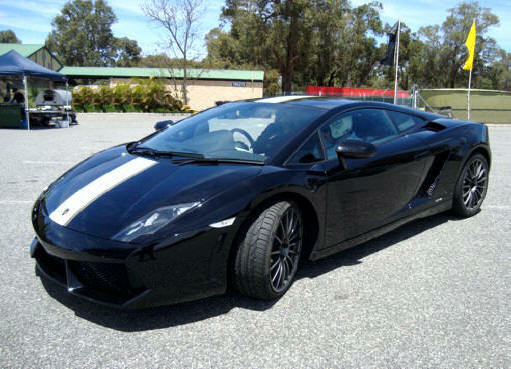 I drove the Balboni (the first in Australia) on Barbagallo Raceway, and fortunately also had the chance to compare its on-track performance with the new LP560-4 Gallardo (560bhp, 4-WD). While the all-wheel-drive model has a surefootedness, it's natural inclination when pushed hard into a corner, is to understeer. The Balboni feels lighter and nimbler than its all-wheel-drive sibling, even though the factory figures mark it as fractionally slower. In fact the Balboni is lighter at 1380kg (compared to 1410kg). Aside from removing the drive to the front wheels, the suspension has been changed and even the aerodynamics have seen modifications t suit the 2-wheel drive model. The 408kW engine sounds glorious and pushes the car along completely thrillingly. Whilst this isn't the big Lamborghini, it's certainly a supercar in all respects. Fit and finish appear to be up to parent company Audi's high standards. Inside the Balboni is very well kitted out. It's not a stripped-out competition car. In case you don't know, Valentino Balboni is famous as Lamborghini's test driver, having been employed by the company since 1967. And that ties in nicely with his eponymous car being a real driver's car. Lamborghini plans to make only 250 of the Valentinio Balboni model, however interest and responses have been so positive that a rear wheel drive model is likely to join the range permanently - and that's very, very good news.